They usually think I said NestEGG, so we have to go through all that. “Money management?” “No, no,” I quickly protest. But after understanding has been reached, marvelous discussions have occurred through the last five years. About children. Parents. Letting go. Midlife. She hated to admit the feeling, since it sounded as if she wasn’t pleased for her daughter, which wasn’t at all true. We theorized that perhaps her feelings might change if her daughter had children. Or that this might be a time her daughter needed to establish more independence, and build her relationship with her new husband. It wasn’t that she was rejecting her mom. It might be a difficult adjustment, but feeling rejected would only complicate things. It was important not to personalize what was normal. This began my own thinking. Was I replaceable? I started imagining what the future might hold, and began wondering how I would handle my own child getting married. Anticipatory grieving is a process I firmly believe in. It’s not living in dread or spending a lot of time worrying. But realizing what might be hard for you in the future gives you a chance to consider options — come up with ways you know you’re going to handle things. It’s a way of building skills. When I think about my son having a girlfriend or even a wife, I can handle that. In fact, that’s already happened, and I simply moved over. But I have to be honest. There is something that might stop me in my tracks, something I’m willing to admit I might even dread. My son developing a relationship with another maternal figure. Now that’s gonna be hard. What if her meatballs are better than mine? It’s plain old insecurity — the fear of being replaced, of losing importance. This is, thank goodness, when my more rational self takes over. 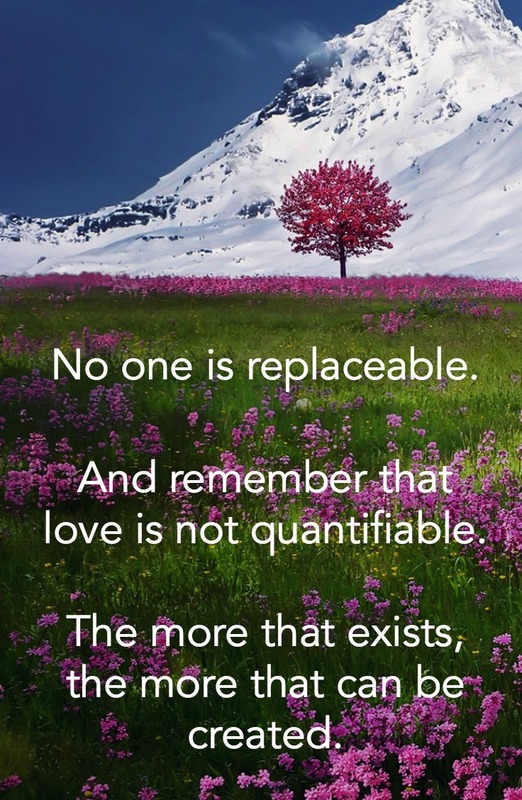 No one is replaceable. Love is not quantifiable. The more that exists, the more that can be created. And it’s important not to allow silly fear to govern me — to remember what a rational mind knows. For Lisa, and for me. And if my son’s future mother-in-law is out there, reading this? I may need your meatball recipe.